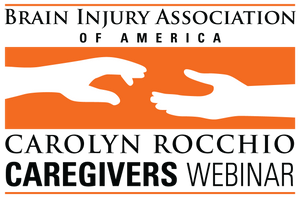 A Carolyn Rocchio Caregivers recorded webinar featuring Rita Lenhardt, M.S. Ed., CCC-SLP, Reg. CASLPO, SLP. Aired live February 7, 2018. This webinar presents a case study following George’s journey of creating new meaning and purpose for his life following his motor vehicle accident. George progressed in his treatment from a passive recipient to someone who was engaged in his rehabilitation process. The "goal-plan-do-review" framework, the "project" approach, and the "master craftsperson-apprentice relationship" models are reviewed. These approaches facilitated the transformation of George's self-concept subsequent to his traumatic brain injury and executive system impairment. The presentation breaks down the steps required to apply these methods with additional examples highlighting their use in children and adolescents. The intricacies of these approaches are discussed, and participants will walk away with the tools required to begin trying these methods for themselves. Dr. Mark Ylvisaker’s principles are highlighted throughout the presentation to reinforce their importance in cognitive-communication rehabilitation. To receive 1 ACBIS CEU, please select "CD/Handout Package, CBIS/T Rate (Includes 1 CEU)" or "Recorded Webinar - Download Now! (Includes 1 CEU)" from the drop-down menu. Please note: CD will not be available to ship until March 2018.